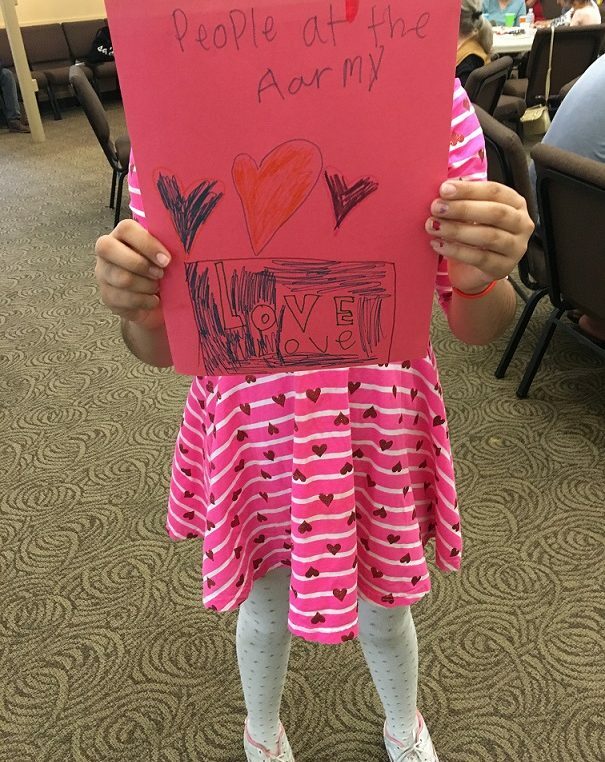 Thanksgiving Healing Club: Reflecting on traditions of Gratitude, Community, and Connection. The Healing Club is a monthly meeting which gives clients the opportunity to meet one another and participate in healing activities together. The Healing Club is a safe space for our clients to share their stories, feelings, and fears with one another. In November, SURVIVORS’ clients, interpreters, volunteers, and staff joined together for a Thanksgiving Healing Club. St. Andrew’s Lutheran Church donated their Community Center for the event. 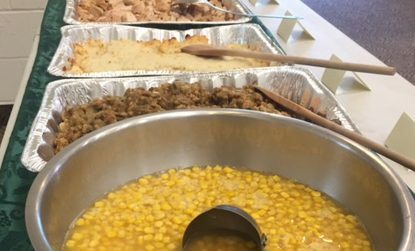 Volunteers, donors, and Thrivent Financial’s Action Team program supplied a delicious Thanksgiving feast for all to enjoy. Clients learned about American Thanksgiving traditions and were encouraged to share their own holiday traditions with the group. 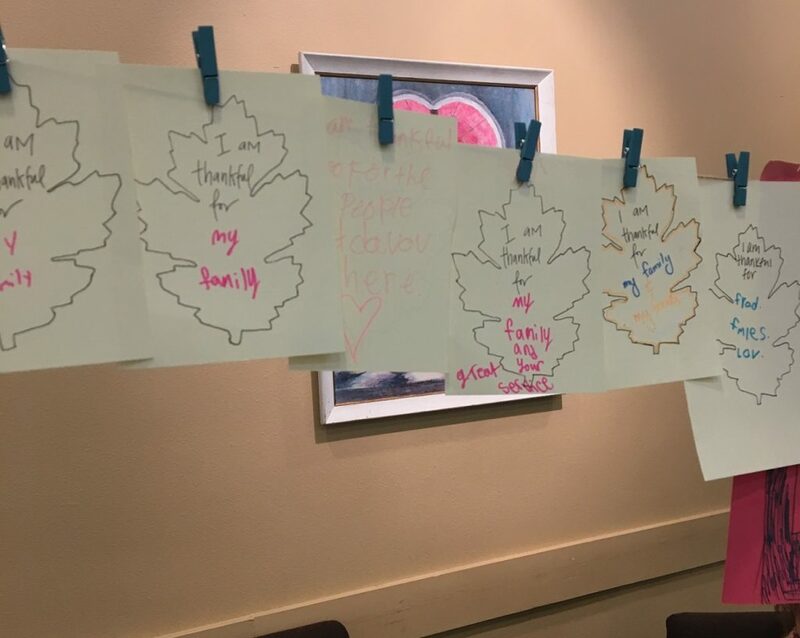 After the meal, clients participated in an art project creating a “Tree of Gratitude,” where clients wrote what they are grateful for on a paper leaf, decorated it, and hung it up to share with the group. The “Tree of Gratitude” encouraged everyone to reflect on their lives, their new community, and their new connections made at SURVIVORS. The Thanksgiving Healing Club was my first event volunteering with SURVIVORS and I was surprised and fascinated by the sense of community at the Healing Club. Most of the clients knew each other or were getting to know each other during the event. The atmosphere was joyful, the children were happy, and almost everyone participated to the art project. 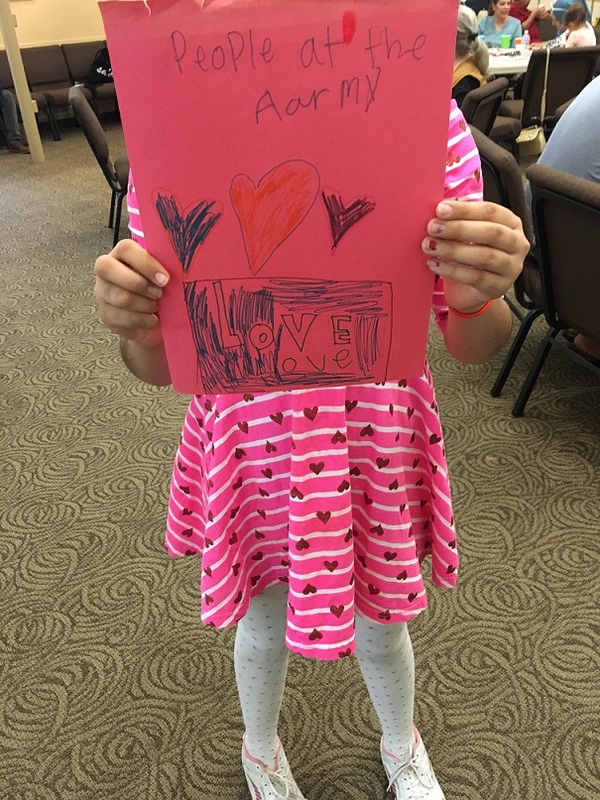 One client even said that he was uncertain if he wanted to go to the Thanksgiving Healing Club and be surrounded by so many people, but he was glad after all because he made new friends.